Wildfires in California (USFS photo). I asked Democratic Colorado Sen. Michael Bennet on Tuesday about a tweet from President Donald Trump earlier this week blaming the magnitude of the ongoing California wildfires on that state’s environmental laws. The president also seemed to give nods to both increased agricultural use of the state’s water and the timber industry as a means of clear-cutting in fire-prone areas. were quick to discredit Trump’s Twitter tirade. I asked Bennet about it because he had just finished touring the site of the June 12 Buffalo Fire above Silverthorne, which came very close to wiping out a couple of subdivisions. Sen. Michael Bennet and Dillon Ranger District deputy district ranger Adam Bianchi in the Buffalo Fire burn area above Silverthorne Tuesday (USFS photo). 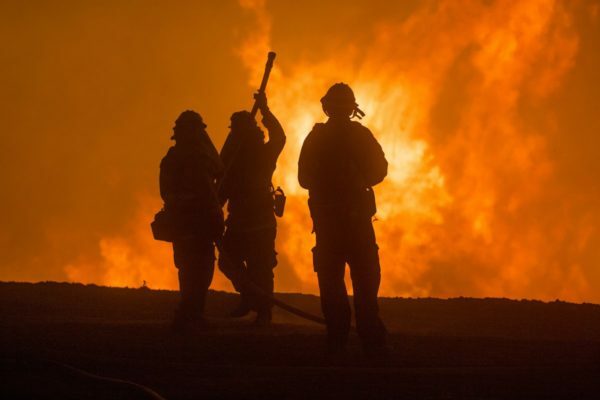 There’s plenty of water to fight the fires in California, firefighters say, so apparently Trump was referring to agricultural interests that want less water to flow naturally to the sea — which is good for rivers, oceans and aquatic life — and more for watering their crops in the San Joaquin Valley. As for his call to “tree clear”, it’s unclear if he means clearcutting by the timber industry or clearing defensible space for firefighting. The latter technique worked well for firefighters battling the Buffalo Fire, but trying to clear forests of millions of acres of insect-ravaged trees exacerbated by climate change is impractical in Colorado, where the timber industry isn’t even interested in most of our scrawny lodgepole pines. The only real solution is protecting communities with selective clearing and letting nature take its course deeper in the woods away from civilization. Trees are very different across the different western states, and more aggressive logging might help in some areas where the logs are more valuable, but there is a longstanding debate on whether we can log our way out of the wildfire mess across the West. White River National Forest supervisor Scott Fitzwilliams attended Tuesday’s tour, and he lauds Congress for providing the funding for the Forest Service to partner with water districts, counties and towns to clear more and more defensible space where firefighters can keep the flames away from mountain towns. 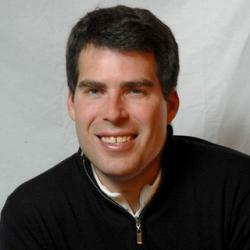 He calls it’s a responsibility of communities adjacent to national forests. “Part of the responsibility of living here is accepting some of these things and knowing that we’re going to have to actively manage some of these areas to prevent catastrophic events,” Fitzwilliams said, also weighing in on the role of the timber industry. “It’s important to have a forest-products industry to do the work, because if we don’t have them, we don’t have that type of equipment. We need it somewhere in the geographic area, so having a viable forest-products industry is an absolutely essential part of this whole equation to deal with this,” Fitzwilliams said. But that’s tough here because the beetle-killed trees aren’t that valuable. Some trees are big enough and can go to nearby lumber mills for use in construction, but most of what was cleared above Silverthorne in 2012 was chipped up and used at the biomass plant. POL stands for Product Other than Lumber and is chipped up and made into renewable energy at the Gypsum biomass plant. SILVERTHORNE, Colo. – Looking west to California, where a wildfire just exploded into the largest in state history, Colorado forest officials and politicians had a “there but for the grace of God (and a lot of hard work)” moment on the flanks of Buffalo Mountain above Silverthorne Tuesday. 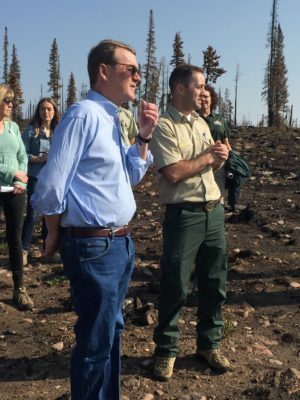 Colorado Sen. Michael Bennet Tuesday toured a 90-acre burn area on U.S. Forest Service land adjacent to two Silverthorne neighborhoods that very nearly erupted into a catastrophic loss of property on June 12 before crews using slurry bombers, helicopters and boots on the ground beat back the flames. Nearly 1,400 homes were evacuated but no properties were lost. Bennet credits 900 acres of defensible space –basically tree clearing – that Forest Service officials completed in 2012 in conjunction with Summit County, Denver Water and the Colorado State Forest Service. The project cost more than $1 million and did not come without pushback. Local and federal officials estimate that by spending $1 million on creating defensible space by clearing trees — an area where firefighters can safely work to combat a wildfire – more than $1 billion in property was saved in Silverthorne during the mid-June Buffalo Fire.